Every business or person has a brand. It's like their personality. Logos are often the first thing that come to mind when people hear the word "brand." However, that's just one small part of it. That's just what a brand looks like. As a copywriter, my job is to communicate a brand's personality with words. Here are just a few examples of those words. For this website, I worked closely with Armstrong Marketing Solutions to develop a brand story that communicates Colt James Ranches' premium Wagyu beef and unique ranching model. AMS provided the creative direction for this project, offering guidelines for the copy's tone and voice that needed to support CJR's brand identity. I then met with CJR founder, Colter Devries, to learn his story and translate his words into more direct, effective messaging. In addition to writing copy for the website, I also provided copy for CJR's Kickstarter campaign, which was implemented by AMS. Working with nonprofits is always fun and rewarding. First Light, Montana's first solar electric nonprofit is working hard to bring reliable power to communities in need around the globe. 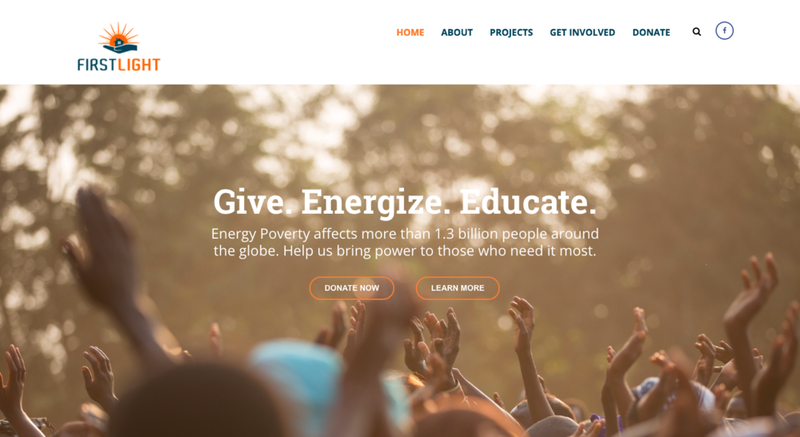 After learning about First Light's mission and goals, I developed a content outline for the website, designed by Redbrain Media, and got to work creating strong, informative copy that communicates the nonprofit's vision and needs. Websites are often the first place we start with new businesses. Everyone needs one, and it's a good way to make sure all the essential items are covered. As a new organization, developing copy for First Light took some time. We had to come up with a tagline and mission statement -- things that help steer the rest of the content, and the organization as a whole. PTP is a call center technology company helping hundreds of businesses improve their customer service capabilities. The technology can be a bit complicated, so I developed a glossary explaining all the key terms so that potential and current clients can be educated on the topic and understand the benefits. Thanks to Bozeman-based SEO firm Dobo Digital for their help implementing this project. Harvest Solar is a solar electric company based in Bozeman and Billings, Montana. Owners Brad and Kyle work with customers every step of the way to ensure clients receive the best product and service possible. Harvest Solar's blog serves as a great educational resource for customers and anyone interested in solar electric power. As busy professionals, Brad and Kyle have a wealth of knowledge, but they don't have the extra time to get everything they know down on paper. That's where I come in. I first serve as a sound board and then publish relevant content into bite-sized chinks people want to read.